There will be times in your business when you may need to have your own office to entertain a client, counsel a patient or possibly hold a board room meeting. Problem is, you don't have a professional office to entertain this idea right? This is where a virtual office is just what you need. An office you can rent by the hour, day, month or year! 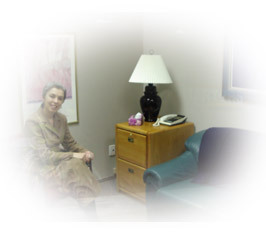 Our office environment is ideal for counsellors. Confidential, private offices make your clients feel welcome! Call (604) 542-9664 if Surrey/White Rock office space is required. You will benefit from an immediate image of professionalism, credibility and success with all office amenities, conveniences and technological advances to enhance your day-to-day effectiveness. Having an office and business address is an important first step for your business. It is a highly effective, yet inexpensive way of saying "I'm in business". It also means that there are no capital expenditures or leasehold improvements to worry about, and you have the advantage of networking with other business people in a friendly and inspiring office environment. Virtual Office Packages, including boardroom and office use and much more! We take care of business virtually, so you can take care of your business. Contact us for more info on renting or leasing a virtual office for your business... or call 604 542-9664.